Being a one stop solution provider for variety of rubber extruders (screw dia ranging from 40 mm to 145 mm), Enerzi delivers compact and realiable extruders as well as machines equipped with the latest development in control systems and designs. Our extruders provide high screw torques just as variable screw speed ranges. We thus guarantee a wide production range without compromising quality. 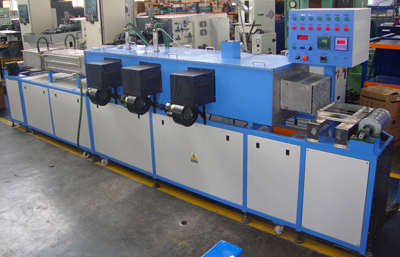 Enerzi rubber extruders possess the latest extrusion unit design and control system for all machine parameters. Excellent design of systems to achieve the best dimensional stability at highest productivity, makes our products unique.